Column: Is Galion’s future brighter? Tuesday is election day in Galion. I shouldn’t be surprised — considering the tone of the last few presidential elections — but locally, this campaign has been ugly and distasteful. I jokingly — well, half jokingly — told some friends that each time I had to do anything that had something to do with local politics, I wanted to go home and take a shower, or at least wash my hands. Some 20 year ago, I had a previous stint at this newspaper. There was not this much local anger, distrust and hatred. Was I just young and naive? I don’t think so. Facebook, Twitter and other platforms have given every person with an internet connection a voice. But social media has changed the way the world views elections and and the way voters learn about candidates. Voters no longer look to newspapers for a lot of their election news. In fact, we’re often the last place anyone looks for news. Donald Trump pretty much ignored the national media in the last presidential election, and he shocked the world when voters elected him. He won thanks to social media. Facebook has become the world’s greatest news source. In some cases, the only way newspapers can get their articles to readers is to post them to Facebook and hope to lure readers to their own websites. I spend 10 to 12 hours a week posting and updating stories on social media … and that’s not nearly enough to accomplish what’s needed. As popular as Facebook has become, there is a huge problem with social media becoming a news source. No fact checking is required. You can print, say, type or share anything on social media. It doesn’t have to be true, or accurate. In fact, the more outrageous, the better. That’s why so many people take to social media for their news … to spread their version of the news, or to read it. They’re not looking for accuracy. They’re not looking for the truth. They’re looking for something to reinforce their own, already-established point of view. The big lie has been a secret weapon of propagandists forever. If you say something loud enough and often enough — and with enough conviction — people will believe it to be true. Recent presidential elections are good examples. Truth took a back seat to sensationalism. Ten years ago, President Obama used social media better than his opponent to win the White House. In the most recent race, Trump was best at manipulating the masses. He was far better than Hillary Clinton. And he now lives on Pennsylvania Avenue. It didn’t seen to matter. Both sides lied and exaggerated. But Trump’s side was more efficient — and effective — in their use of Twitter and Facebook. For months, I’ve stayed away from local campaign websites or local social media pages promoting one point of view or another. I am pretty certain I’ve not visited, nor ‘liked,’ nor shared any item having to do with the local election that made it to me via social media. Nor has the Galion Inquirer reported on any posts that have appeared on social media. Unfortunately, we have neither the time nor resources to check every item that appears on social media. As revenue (advertising dollars) falls for print media companies, there are fewer resources available to cover local politics and the amount of coverage local races get has been reduced. It’s a shame. But it’s a fact of life. Besides, I don’t believe it is the job of the Galion Inquirer to answer and address every controversial issue that comes up on social media. 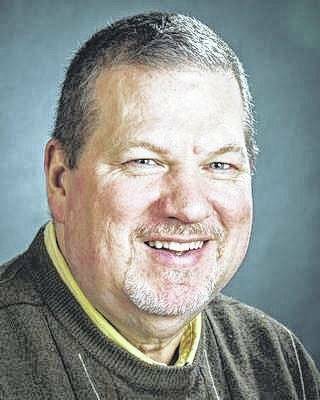 Still, I have been chastised and pilloried by all sides in this election for things I’ve written or allowed to be printed or posted in the Galion Inquirer. I’ve received anonymous packages in the mail and notes on my vehicle and voice messages and emails from all sides in the past few months. I guess as an editor, that is my goal, to be equally despised — or liked — by all. As I write this, I don’t know who is going to win Tuesday’s election in Galion. I’m not endorsing any candidate. To me, this election boils down to one simple question. Is Galion a better place to live than it was four years ago and is Galion’s future brighter than it was four years ago. If you are satisfied with the direction our community is going, vote accordingly. If you are not satisfied, vote accordingly. See ya at the polls.